With a bit of a nudge from her two tech-savvy sons, Veronica Ridge left The Age – and a great job as a senior editor – in October 2012 in search of a digital adventure that would turn out be the ride of her professional life. It was kickstarted by a crowd-sourcing campaign – enthusiastically supported by The Age alumni – that paid for the first two (of four) issues of the team’s iPad publication Issimo Magazine. This experience led to a deep understanding of the ever-changing world of transmedia – of analytics, digital marketing, social media, UX, spotting trends and first-hand observation of the power of visual storytelling online. 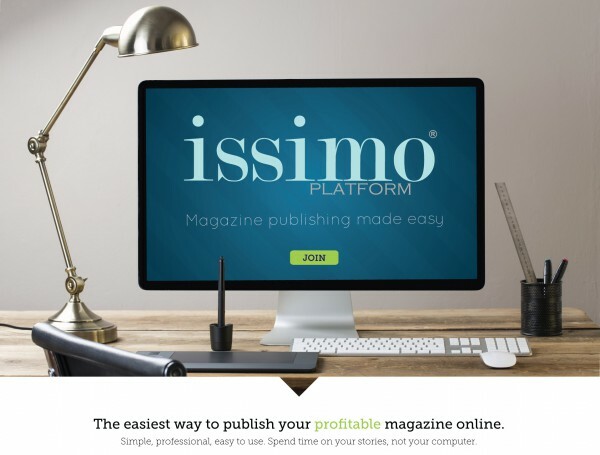 Issimo’s team has now created its own publishing platform (see a prototype at www.issimomag.com; details at www.issimo.io). In the spirit of true innovation, we aim to share our technology free to like-minded journalists with a yen to set up a viable digital publication on any subject. Unlike WordPress, the issimo.io platform feels and looks as smooth as an app. Users can upload images that are automatically rescaled to entice with full-resolution quality on a desktop but also load fast on a mobile. Our pages are more than just text and pictures, infographics and videos – the team at Issimo is committed to building the tools for an exciting digital publishing future. Did you become redundant from a media organisation since 2007? If so, we’d love to hear what you’ve been up to so we can share it in our new “My New Beat” section. In up to 200 words, let us know something about the new work you’ve found in the media or how you’re applying your skills elsewhere. You can also attach a pic (jpg only) or link. Please email both the text and image to l.zion@latrobe.edu.au.